Mr. Amador is an tradition here on campus that is back for the 2019 new year. The competition serves as a fundraiser that has raised tens of thousands of dollars throughout the years for the George Mark Children’s House. During the school year, there are different fundraisers that the boys participate in to raise money. “The boys themselves are basically the face of the fundraising program. They are the ones drawing people out to donate, and at the end of the year in April, they are a part of a male talent show that raises tens of thousands of dollars. Each boy has a talent coach to help them come up with a funny talent to make audience members want to donate more to our program!” said Amber Miller (‘19). The fundraisers that the Mr. Amador boys participate in are planned by a publicity committee whom were selected through applications in October. They contact the local businesses and gather the money after the actual events. “Our best fundraisers so far have been the ones where the boys and committee go out into the community to raise money, which have been the gift wrapping, caroling, and Orange Theory fitness class fundraisers. Our publicity committee consists of about 10 members,” said Lindsey Schroeder (‘19). This year, each fundraiser so far has collected about $100-$600. Each fundraiser leads up to the largest fundraiser of the year, the Mr. Amador show. This year, the show will be held on Monday, April 15, 2019. There are a variety of fundraisers throughout the year, including gift wrapping at the outlet mall, christmas caroling, fundraisers at restaurants, and selling valentines day grams. The valentine grams will be starting on February 4th, and will be handed out by the boys themselves. “I think that the Mr. Amador fundraiser is important because it gets students involved in a greater good that helps terminally ill children and their families but also brings students together in the process. I’m excited to make a positive difference in the lives of these kids with my classmates,” said Cyrus Berglin (‘19). 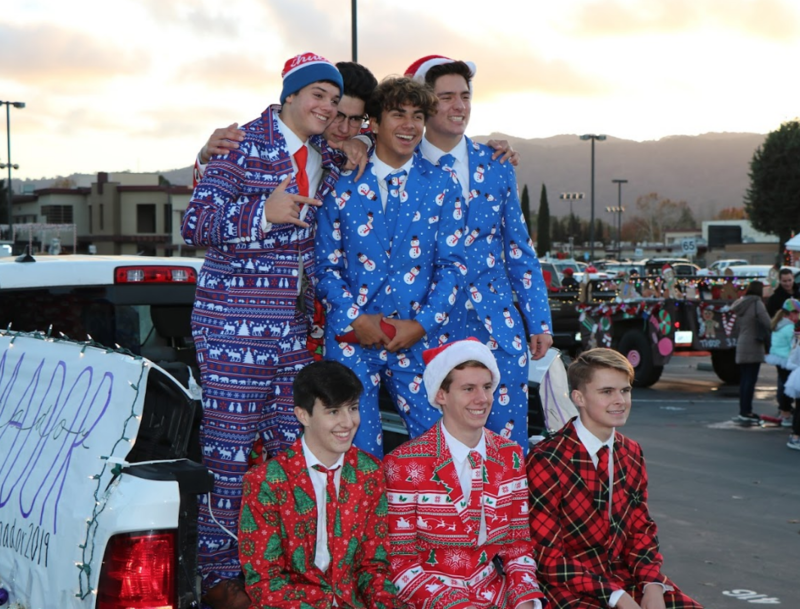 The boys participated in the downtown holiday parade in December to raise awareness about Mr. Amador and their fundraisers. There are many more fundraisers coming up before the official Mr. Amador fundraiser, including their upcoming valentine’s day fundraiser, in which people are able to buy grams that the boys will pass out during class. If you would like more information about Mr. Amador and their upcoming fundraiser events, please visit their website and stay tuned to AVtv for more information.